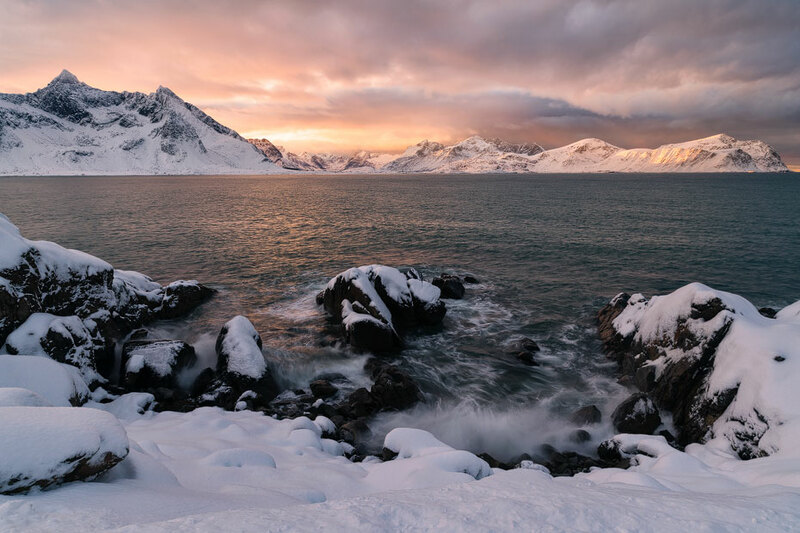 On Lofoten islands, north of the Arctic Circle, the sun creates a mystical atmosphere at the end of January, the hole day long. This capture was made at twelve thirty noon. Auf den Lofoten, nördlich des Polarkreises zaubert die Sonne Ende Jänner den ganzen Tag lang eine mystische Stimmung. Dieses Bild wurde um 12:30 Uhr mittags gemacht.